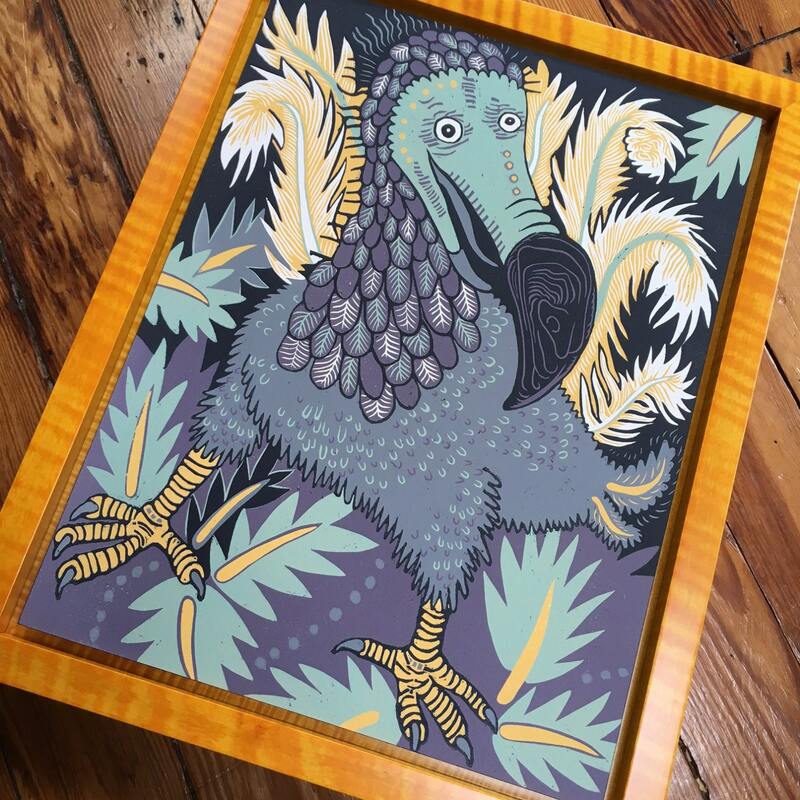 This framed dodo can be ordered and will be delivered in 6-8 weeks. Dodo's are sometimes thought of as a fantasy bird, with their tail plumes and comical beaks. Lewis Carroll famously brought them back to life in, "Through the Looking Glass." Our recognition of the bird comes widely from Disney's Alice in Wonderland. But, when this bird was alive, it lived on a small island off the coast of Africa, Mauritius. When humans arrived they were one of the first species to become extinct because they we so docile and easy to hunt. We are a hungry animal...and many times throughout history have been known to eat the last remaining individual of an entire species. Dodo's were thought to have gone extinct in the year 1681. Oh I wish I could have met a dodo. image size 13 x 17"
framed size about 15" x 19"